Audio rights to Susie Kelly's US bestselling memoir I Wish I Could Say I Was Sorry, about her dysfunctional childhood growing up in 1950s London and Kenya, have been bought by Tantor Audio. Susie's memoir joins S. E. Lynes' hit psychological thriller Valentina as a Tantor audio release set for 2018. Tantor's extensive catalogue includes Man Booker, Pulitzer, and National Book Award winners, as well as countless New York Times bestsellers. Tantor then adds the most popular and talented narrators to the mix, taking care to match the right voice to each book. The end result is award-winning audio. Tantor is the recipient of numerous Audie Awards, AudioFile Earphones Awards, Publishers Weekly Listen-Up Awards, and starred audio reviews. 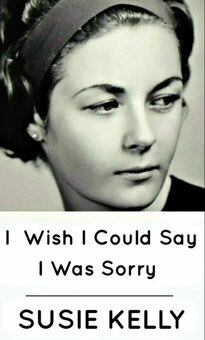 Read Chapter 1 of I Wish I Could Say I Was Sorry here.